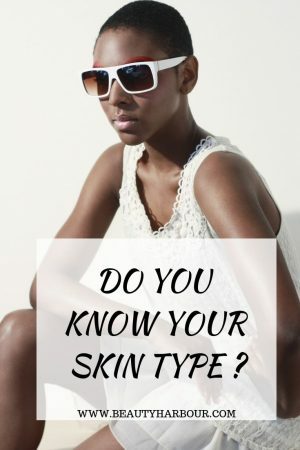 Before you start on any new skin care regimen or buy the newest miracle cream trending on social media you need to know your skin type. Because the chances are, if you don’t all your hard earned money will be spent on products which do nothing for your skin or worse make it break out. Despite your genes, your skin’s condition is not set in stone, good or great skin can go ”bad” due to habits and bad skin can either get better or worse based on habits as well. Depending on how severe these habits are some of the changes may be permanent. Skin is generally classified into five main type’s normal, dry, oily, combination and sensitive, each with characteristics that need special attention. Although the classification seems simple, your dry or oily skin may not behave exactly like your friend’s since each person is unique. Normal skin is well-balanced skin, it is neither too oily nor dry. Which means the sebum (oil) and moisture levels are just right like Goldilocks porridge. Normal skin tends to have fine pores which are almost invisible to the naked eye, has an even colour, no blemishes or sensitivity. Having normal skin does not mean you will never have any skin issues, the odd blemish or two is normal but you will generally have fewer issues. Normal skin also tends to get drier with age. Normal skin is the easiest skin type to take care of it needs the basics cleansing, antioxidant for protection from the elements and pollution and a good moisturiser. Oily is skin that produces a lot of sebum (oil) and can be easily identified because of the shine and almost greasy appearance. Most oily skin is due to genetic but can also occur due to hormonal changes. A large number of developing oily skin during puberty due to the fluctuation of hormones particularly androgens(male hormones). The pores on oily skin are more visible due to the overactive sebum production and thus is more prone to acne breakouts. Oily skin gets greasier as the day progresses and cause makeup to slide off easily. Contrary to popular belief dry skin is skin that produces less sebum than normal skin, not skin that lacks moisture. Due to the reduced sebum produced the skin is not able to retain moisture which is responsible for building a protective barrier. Note there is a difference between dry and dehydrated skin. Dehydrated skin is skin that lacks moisture due to products and environmental factors while dry skin is skin which produces little or no oil. If you have dry skin it is better to use moisturisers or creams that contain more oil because they are thicker and more moisturizing for your skin. Combination (or confused skin as I like to call it )skin is exactly that a blend of both oily and dry skin on different portions of your face. With combination skin, the oily portion is around your T-zone( forehead, nose, and chin) while the checks are dry. It is the most common skin type. For this skin type, you need a varied regimen. You can treat the T zone with products for oily skin while the rest of your face gets the dry skin treatment. 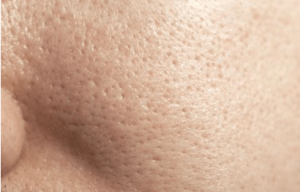 Sensitive skin is skin that exhibits the characteristics of dry skin, oily skin, or combination skin, but also has a significant amount of redness and irritation. This may due to genetics or self-induced when exfoliating products like retinol or acid peels are used aggressively. Self-induced sensitivity tends to self-correct once the inducing agent is eliminated. Genetic sensitively, on the other hand, tend to be permanent should be managed with a careful selection of the right products. Since sensitive skin is easily inflamed, you need to avoid harsh chemical treatments as they can trigger other skin conditions like rosacea or allergies. The goal with this skin type is to improve barrier function without causing irritation.